Are you a fan of boldly and unusually scented soaps? 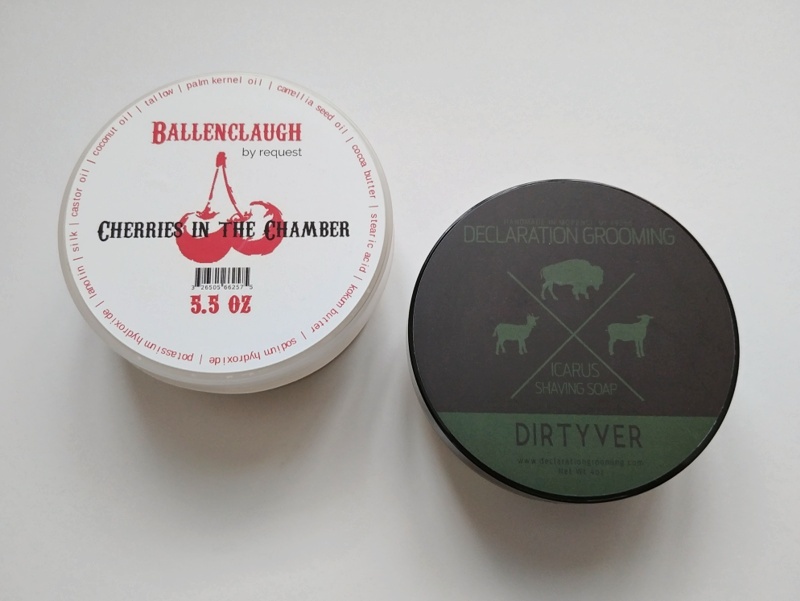 Did you miss out on the Ballenclaugh Soaps Cherries in the Chamber drop, or Declaration Grooming Dirtyver before it sold out? Take the both of them for $26. The price includes shipping within the contiguous United States (and PayPal fees). Cherries in the Chamber — An amount for three small samples has been taken out with a cosmetic spoon. Has never been lathered in the tub. 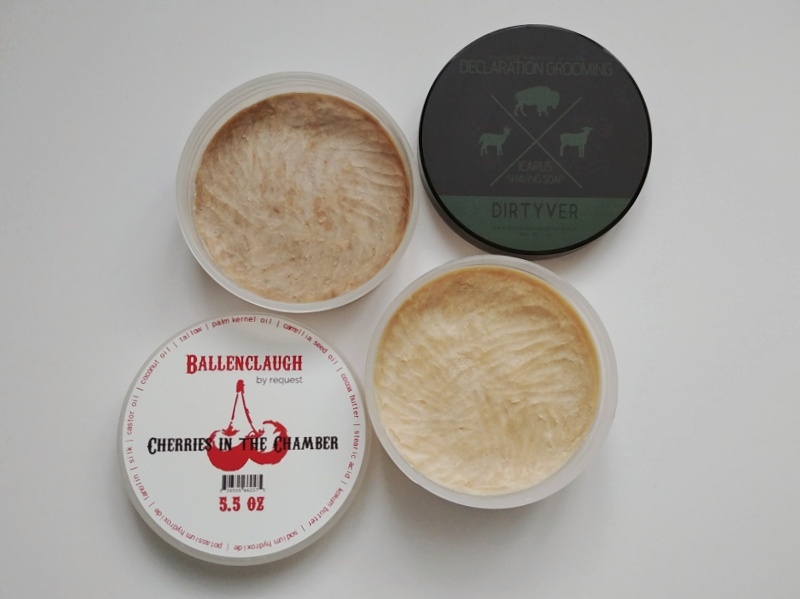 Dirtyver — Has been lathered in the tub twice, after which a small amount was taken out with a cosmetic spoon as a sample and to clean the surface.